The Little Backyard Farm: Peonies are in season! 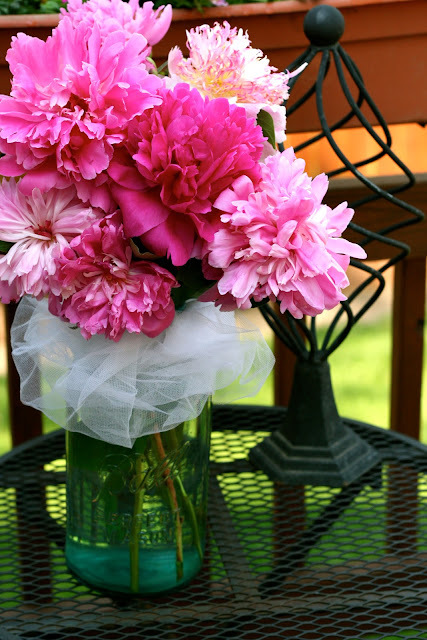 Peonies are now in season!!! I love the texture of their blooms and the smell is just phenomenal! I created this bouquet to bring a smile on someone's face today. 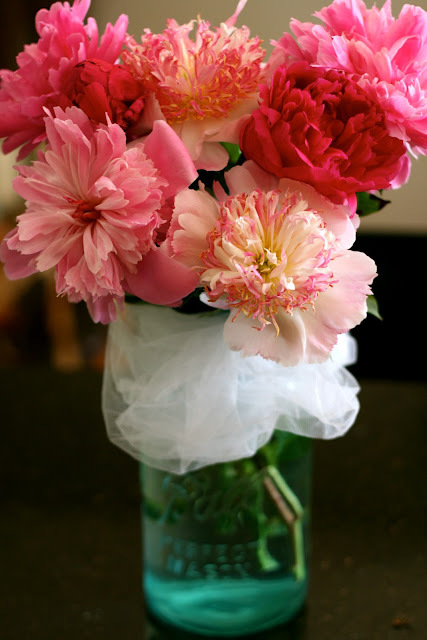 Even though flowers will not fix a problem, they can show that you care. I hope this is what will happen in this case! Paint a little bird house!